Today we’re going to be talking about the at home treatment that has you stick hundreds of tiny needles into your face and why I like it. Now before we get started, don’t think I’m one of those weird people that was actually excited to try this highly talking about skincare product. The idea of putting needles into my face scared the sh*t out of me and this fear was only amplified when I rolled the device on the back of my hand to find it did actually really hurt – no shocker there. But I’m all about trying new things at least once and TACTICS so I used my ice roller (yes the one I keep in the freezer) to numb my face before micro-needling for the first time – genius move in my opinion. I have also been obsessed with skincare lately, religiously following my routine morning and night. If you’re interested in all of the products I use then you are in for a treat – I have both a video showing how I apply everything and a write up on each product here. While I was worried that this would numb the pain to where I would not be able to feel if I was pressing down too hard, turns out this wasn’t a problem. Among one of my fears was that I would have a bad reaction and my face would flare up. Considering it was a Wednesday night and I had work the next morning this is an understandable concern. But despite being worried I would press too hard and not feel the pain or my face would flare up – I experienced no issues at all! Seriously, the whole process was painless and even somewhat relaxing. There was no adverse reaction and in fact the results were incredible. Let’s backtrack a little and talk about why in the world you would stick hundreds of little needles into your face…and there are two main reasons. When you injure yourself, part of your bodies healing system is to send new blood and collagen to the area. By creating all of these little micro-wounds you are encouraging new blood and collagen to flow to your face resulting in plumper and firmer skin. This was definitely something I noticed to be true about micro-needling and I myself felt the difference. Creating all of these little punctures in the skin provides a direct pathway for your skin to better soak up any products you then apply. This is a great time to put on your favourite serum (just avoid any acids or exfoliants) or your favourite creamy hydrating product to reach maximum results. Between the two of these benefits, I definitely felt my skin was much plumper, firmer and more hydrated. I’m not sure if this is more due to the collagen / blood stimulation or the better serum absorption but my theory is that it’s a mix of both. While I was extremely sceptical at first, these awesome results I have experienced from just the initial experience have convinced me that this practice is completely safe and actually quite effective. As for actual technique, I try and go over each patch of skin 2-3 times each time from a different angle. I would recommend avoiding the eye and nose area – it’s most effective on the plumper spongier areas of the skin (and a lot less painful). I did feel a bit of a tingling sensation for around 30-45 minutes after the numbing of the ice roller wore off and the serum was sinking into my skin but it was bearable. 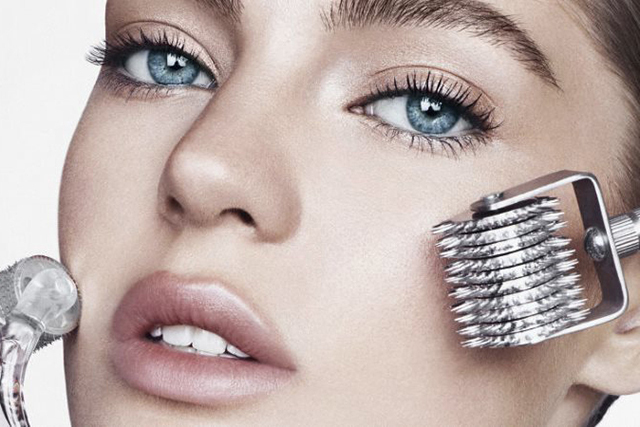 My overall sentiments on micro-needling are shocking to me – I actually quite like it and will probably incorporate it into my weekly skincare routine. Shocker! Thank you for reviewing! Gotta try it soon!